We recently got to participate for the 9th year in the annual OU Physicians Games Wheelchair Basketball Tournament, which is one of our favorite annual events to attend and support. The event supports the Oklahoma Adaptive Sports Association (OKASA) and raises funds for disabled athletes. During this great event, teams of doctors from OU Medical Center as well as a team from 180 Medical play wheelchair basketball and take on the awesome Oklahoma Blaze. During the event, there’s a lot of fun to be had, even outside of the basketball games, like face painting, carnival games, popcorn and other tasty treats, and a silent auction to benefit OKASA. On top of that, the OKC Thunder Drummers came out again this year to entertain the crowd, and the children’s cheerleader group, Inspiring Attitudes, performed dance routines between games, too. The annual wheelchair basketball tournament is a blast for all our employees to come watch and cheer on the Blaze and all the other great teams, including our own. “It’s so incredibly important to us to support the doctors and providers and patients that we work with, and we love the event. We’re just so happy to be a part of it,” says Michael Pampalone, one of 180 Medical’s Urologic Territory Specialists. The Blaze is still just too good for us to beat! We didn’t even score a basket this year, but our team had a great time as always, and we’re honored to be able to be a part of this important and fun annual event! About OKASA: The Oklahoma Adaptive Sports Association is an organization that supports recreational and athletic activities for adults and children with disabilities. These events include such sports as wheelchair basketball, track and field, swimming, table tennis, and competitive weight-lifting. The organization promotes health and fitness and teaches lifelong skills such as team effort, good sportsmanship, setting goals, commitment, and responsibility. You can also connect with them on Facebook or Twitter. 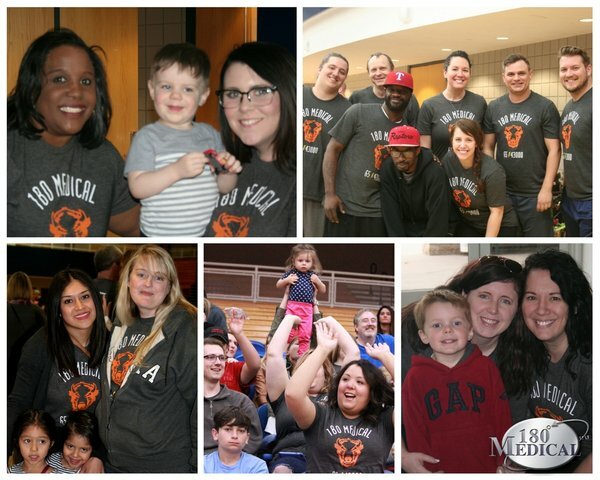 180 Medical had a blast at the recent wheelchair basketball tournament competing against the Oklahoma Blaze. Learn more about this great event with our latest blog. The annual OU Medicine Wheelchair Basketball Tournament is an incredibly important event to us here at 180 Medical. Find out more about OKASA, adaptive sports organizations, and the awesome Wheels of Thunder! 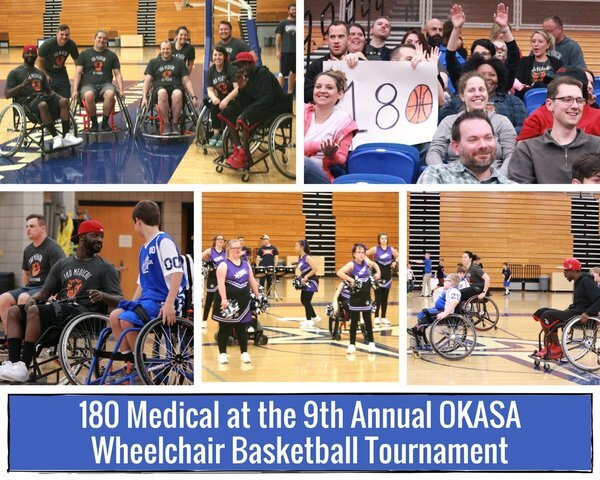 We’re excited about the upcoming 8th Annual OKASA Wheelchair Basketball Tournament. Find out more about this fun event and 180 Medical’s team this year with our latest blog post.